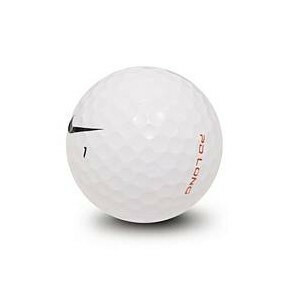 The Nike PD Long golf ball is tailored for golfers who want that extra bit of distance off the drive. The durable ionomer cover is designed to improve durability, while the special 402 dimple pattern is tailored to reduce drag. These characteristics result in a golf ball that flies long, and maintains it's look and feel for a longer amount of time. if you're a golfer looking to try a new ball or a golfer looking for an extra bit of distance from your driver or long irons then this is a great choice for you.